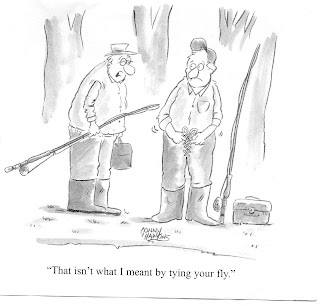 As you can see from the illustration, our fly tying sessions are pretty simple--but we have fun and we tie basic flies that catch fish. You missed out if you didn't attend the Sept. session--Tim Ivey showed us how to tie 2 of his smallmouth patterns--thanks Tim, you did a great job and we enjoyed it. We will meet Tues., Oct. 5th at 6:00 PM at the shop in Helen. Everyone is invited. 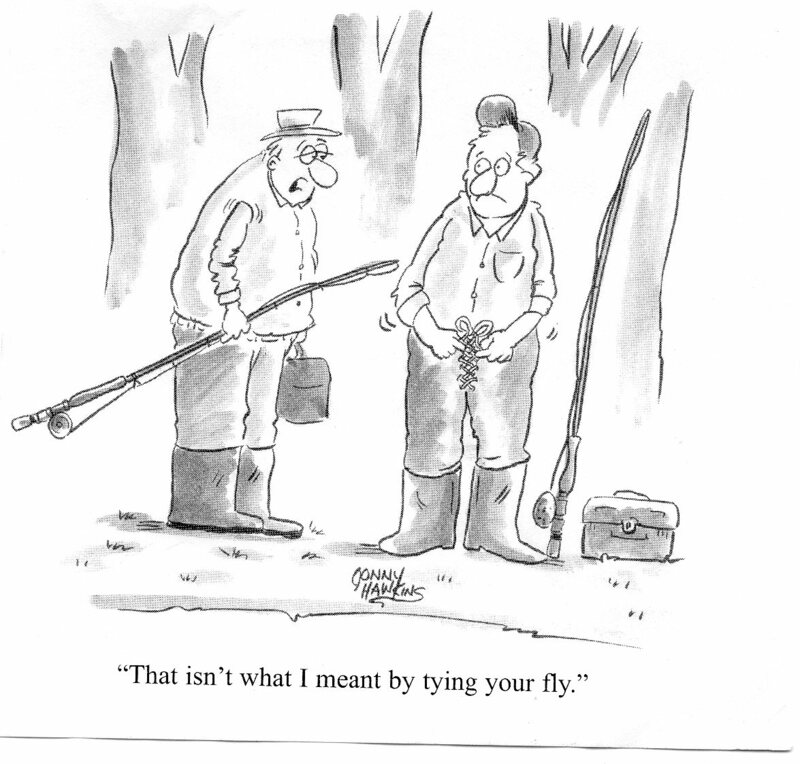 This is a great time to learn to tie flies for the upcoming fishing season. Experienced tyers are welcome too--you can always learn something new and you can help those who are just beginning. Supplies will be provided--thanks Unicoi. I just returned from a trip to the Southwest U.S. I attended a Bible study/fly fishing retreat in Glorietta, N.M. and had a great time doing both thanks to Jason Cruise and all the other folks at the event. I fished the Pecos, Rio Grande, and San Juan rivers in N.M. and the Animas river in southern Col. I can't believe I fly fished the Rio Grande river--I only thought it was in Texas --it was truly a beautiful place to fish. We enjoyed floating the tail waters of the San Juan thanks to Joshua and the folks at Durangler's Outfitters. We hooked plenty of really nice fish on the big fly shown in the picture. We are truly blessed with a beautiful country--hope we can keep it that way. Don't forget to "Tie 1 On'' Tue (Oct 5).